Well kiddies, I have a real treat for you today. Editor Chryse Wymer is sharing with all of us her love of commas - AND a giveaway of not one, but THREE Amazon gift cards! I'll admit, this is one area I struggle with. So let's see if we can learn something from Chryse. Thank you, A.B. Shepherd, for allowing me to stop on your blog and share the love—the linguistic love, that is. I am especially grateful because I know your blog is aimed at readers, and what I have to say is aimed at writers. I am a copy editor and proofreader. Yes, indie authors, I’m looking at you in particular. But I am here to help. I'm visiting blogs to share what I know about grammar, usage, and great writing. I’ll even raffle off a few Amazon gift cards to get you started on filling up those bookshelves with the basic tools of the trade: grammar, usage and style books; thesauri; and dictionaries. Words are a writer’s most important tools, after all. Go ahead and write fast. Write as fast as you can. But edit slow. Edit as slow as it takes. I am an American editor, and, in this article, I am using American grammar and usage rules. Some things are completely different in the U.K., one of them being commas. A very talented client of mine has a hard time grasping commas, and many great authors often misuse them. It’s a broad subject, so I’ll be covering it in pieces. The basic function of a comma is to separate. Think of it this way: you’re walking down the grocery store aisle and get to the produce section. In each bin, you see produce. There are apples, grapes, blueberries, and watermelon— one bin for each. Everything down that aisle is fruit. An author’s sentence is that aisle, declaring its purpose (fruit). Each bin is a comma, separating our ideas. The ideas are the apples, grapes, blueberries, and watermelon. Without the bins (commas), it would all fall apart. The same is true with a missed comma. Let’s get more specific. First, the comma separates items (including the last from the next-to-last) in a list of three or more—e.g. : “When I went to Jupiter, I got gangrene, dysentery, and a bug up my nose.” The final comma in the above example is variously called the serial comma, the Oxford comma, and the Harvard comma. Whether to include this comma has caused many fiery debates. I personally believe that it should be added. Leaving it in will cause no confusion. Omitting it could cause confusion. Thanks again to A.B. Shepherd for being the first official stop on my Linguistic Love blog tour. Thanks for sharing your wealth of knowledge with us Chryse, and thank you for such a fabulous giveway! Folks, Chryse is an awesome editor and if you are looking to have your manuscript edited be sure to contact Chryse. Her email address is chrysewymer@yahoo.com. She will be glad to help you out. Now tell me, did you learn something today? 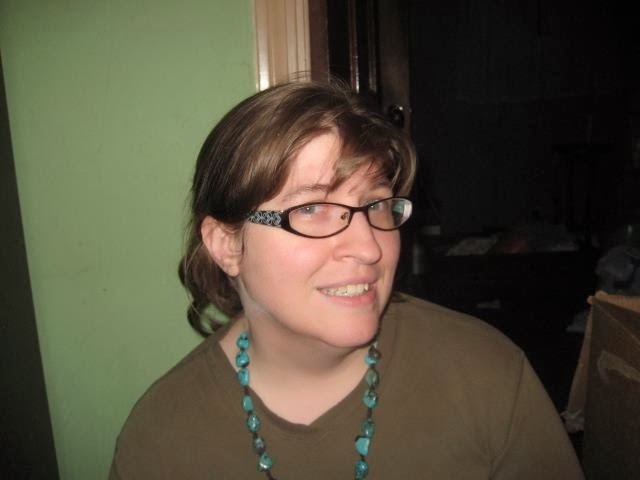 Chryse Wymer is a freelance copy editor and proofreader whose main focus is on indie writers. Her clients have been well reviewed, and one was recently chosen as a top-five finalist in The Kindle Book Review's 2013 Best Indie Book Awards in his category: mystery/thriller. For some years, she has been particularly obsessed with William S. Burroughs’s writing, who happened to coin the term heavy metal ... her favorite music. And don't forget to check out her Web site: http://ocdeditor.weebly.com/.